The sidewalk outside my front door. Returning from a short weekend vacation in Kansas Monday afternoon, it was time to begin the twelve weeks of training leading up to the Monterey Half-Marathon. I unpacked and did a short, ceremonial 3.5 mile run around the loop of the Los Gatos Creek Trail on the east side of my home town of Campbell, CA. The next day was my first hard day of the week, an eight mile fartlek run. Fartleks are one of my favorite old school workouts. Fartlek is a Swedish word for "speed play" and the idea is to run at varying speeds over the course of the run. I'm not as playful as the Swedes so my version of fartlek is to simply run for 90 seconds at 1500 meter pace and then return to easy distance pace for another 90 seconds and repeating that over and over nine times. As I get within six weeks of the half-marathon, the fartlek runs will morph into track intervals. Wednesday was an easy run south along the Los Gatos Creek Trail to Vasona Dam and back. Vasona Dam holds the waters of Vasona Lake in Los Gatos. On the way back, I encountered a runner I often see on the Los Gatos Creek Trail. Let's call her "Fast Grandma". I don't know her name, how old she is, or even if she's actually a grandma. Her straight, dark gray shoulder length hair and granny glasses make her look like grandma as she whizzes along the trail. She could be anywhere between 40-60 years old and if she races, she would have to dominate her age group given how fast she glides along the trail every time she goes by. After two years of passing each other on the trail once or twice each week, we've developed such a familiarity that a slight acknowledgement with a turn our fingers has evolved to a brief verbal "Morning" greeting. Thursday and Friday were easy six and four runs respectively. They felt pretty effortless but I held back for the big 12 mile tempo run Saturday. Saturday morning, I'm standing in front of my apartment complex waiting for my Garmin watch trying to find its distant satellites orbiting the earth. I must have faked it out starting the search indoors because it kept restarting some sort of sequence over and over again, failing to communicate. After five or ten minutes of this, I get impatient and just head out in regular stop watch mode. I prefer the nearly real time pace feedback of the Garmin watch, but since I know roughly were each mile is along the 12 mile out and back run along the Los Gatos Creek trail, I can roughly figure out my pace along the way. I come through the first mile around 7:00, get a little carried away and come through the second mile at 6:30. Yikes! Too fast. Pulling back on the throttle a little, I come through the approximate 4 mile mark in 27:00. Still too fast. All things considered, it's better to be too fast than too slow, but running long distance tempo run is bascially playing with fire because they are very stressful workouts. If you have a nagging injury or feel a little sick, a hard 12 miler is a great way to knock yourself out of action for two weeks. And trust me, I've done just that. The worst thing I can do is turn this into a 12 mile time trial and the idea is to run this at a pace I call "Can't hold a conversation for more than 30 seconds pace". Since I have trouble running a mile at 6:30-6:45 while talking continuously for 30 seconds, I need to slow down. I settle into a more reasonable pace by the time I get to the turn-around point on the gravel road just south of downtown Los Gatos. Heading back north to Campbell, I pass a couple packs of the San Jose Fit training group, all wearing matching bright orange shirts and following each other in single file as they wind through the narrow woods along Los Gatos Creek. I finish back home in 1:23:05, a 6:55 minute per mile pace, about what I was shooting for. Sunday caps things off with a easy six mile recovery run. I was slightly beat up from yesterday, my right hamstring feeling tight, but otherwise felt OK. The first week had a couple challenges, and by design, none of those challenges were supposed to be difficult. The good news is that they weren't. Early on, it's just about finding limits. Testing those limits will come later. 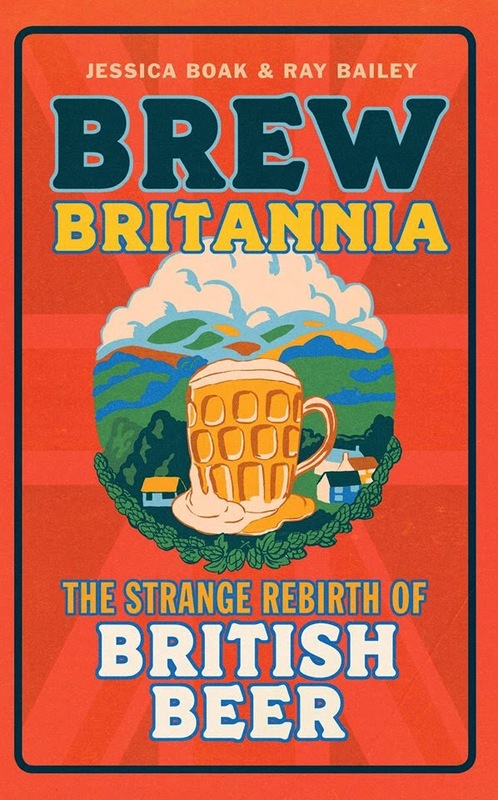 It may seem a little pointless to post my high recommendation of Brew Britannia!, the history of British beer's rebirth written by Jessica Boak and Ray Bailey. After all, since people on both sides of the pond like Zak Avery, Alan McLeod, Stan Hieronymus and Pete Brown have already weighed in with their enthusiastic thumbs' up, what's really left really for me to say? These beer writers are pretty knowledgeable about British brewing. I, on the other hand, only had this foggy notion about some weird group of British beer enthusiasts called CAMRA, which sounded like something straight out of a Monty Python skit. So I eagerly read Brew Britannia! hoping to learn beer's transformation in Britain given I was pretty well versed in America's brewing revolution. Boak and Bailey's book presents a fascinating British contrast to what happened in America. As many already pointed out, Boak and Bailey couple impressively thorough research with a conversation-like writing style, focusing on the personalities that drove the British beer revolution to create an engaging story. Beer histories tend to be fairly wonkish, delving deeply into brewing styles, beer ingredients and brewery equipment. Boak and Bailey thankfully go in the opposite direction, focusing on the personalities and motivations of the various individuals who made British beer what it is today while rarely discussing the beer itself all that deeply. Given the book give a very linear history of British beer starting from 1960's, this was a wise choice, preventing it from turning into a tedious "bus schedule" of British beer minutia. What I found especially fascinating about Brew Britannia! was comparing Britain's beer revolution to what occurred at approximately the same time in the United States. American brewing pioneers such as Fritz Maytag, Ken Grossman, and Jim Koch were undeniably passionate about beer and took great personal risks to follow those passions to create Anchor Brewing, Sierra Nevada, and Boston Beer respectively. However, it is equally undeniable they were all also shrewd and highly ambitious businessmen who worked long hours to build their eventual empires. The craft brewing revolution in the United States was in many ways, entrepreneurial capitalism at its finest, where a few smart and hard working individuals took calculated risks the market would pay extra for a different product and turned out to be right as individual consumers started buying it. Boak and Bailey's history documents a revolution with a similar outcome, but a demand driven one rather than the American revolution driven by new supply. Various consumer groups emerged in the 1960's, most notably CAMRA, which not only were seeking better beer in opposing the Big Six British corporations, but were undeniably social and arguably political organizations. Their fight was ultimately a lot more than simply demanding traditional live cask ales in favor of forced carbonated kegs of fizzy the Big Six brewers favored. It also centered on the traditional role of the British pub and a revolt against large corporations that were perceived as poor stewards of British tradition and identity. While there was certainly dissatisfaction in the United States at the sorry state of beer in the 1960's and 1970's, there weren't any organized consumer groups in United States seeking change in our nation's beer. That whole idea seems somehow un-American. The early British craft brewers emerging in the 70's and 80's come across as reluctant businessmen, simply trying to brew a few barrels of decent brew without the more ambitious goals of the America's initial craft brewers. And yes, Boak and Bailey portray CAMRA as both goofy and dogmatic, prone to infighting over virtual any trivial topic they could possibly fight over, confirming my suspicions about the organization all along. Boak and Bailey's story of Britain's craft brewing revolution seems, well very British. Which raises the question, does each nation's brewing transformation uniquely capture it's national identity? Are Sweden's and Italy's craft brewing revolutions distinctly Swedish and Italian? Are Beer Bolshevik's fermenting revolt among Russia's proletariat as China engages on a Long March against lager imperialists led by a beery Mao Zedong? Upon finishing Brew Britianna, these questions no longer seem as absurd. "The will to win is nothing without the will to prepare"
This quote from Tanzanian distance running legend Juma Ikangaa seems the ideal way to start a new series on this blog. Twelve weeks from now I'll be running the Big Sur Half-Marathon in Monterey. As any runner knows, it takes a lot to prepare for a half- marathon, whatever your ability. For many of us runners, taking the journey to reach a mountain top of our own making is why we do what we do. This fall, that journey is to finish the half-marathon in 1:22, a 6:15 per mile pace. Last year, I ran the Big Sur Half-Marathon in just a tad under 1:26, about 6:32 per mile pace. No question running a 1:22 will be difficult, but after carefully considering some of the runs and races I've done this year, it's doable. I'd still be pretty happy if I ran 1:23, about 6:25 per mile pace but 1:22 is the target. Six weeks before the Monterey Half-Marathon, I'll run the Bridge to Bridge 12k in San Francisco both as a racing tune-up and reality check. I'm going to start a weekly diary of sorts, posting each week on my running experiences and thoughts leading up the race. Rather than a tedious tally of each day's run, I hope to both inject a sense of purpose into the quest, and share with you the people, the places, and the things encountered along the way. Sometimes, I'll describe a certain aspect of the training. Other times I'll introduce you to other runners, either long time training partners or anonymous runners who've gained a certain familiarity as they go by in the opposite direction each morning on the trails. There will be a few random observations about things as they enter my mind. And with some luck, I won't be writing about any injuries. The goal is to share my little world within the strange tribe of runners to give other runners added direction, comradery and inspiration while showing non-runners the purpose for doing these crazy things. Ought to be interesting, should be fun and as always, I never quite know where this will take me. Hope you join me for the ride. How many Brown Ales have you tried that gave you the "Wow" factor? I can't think of too many myself. Don't get me wrong, I'm a big fan of the style that's way under appreciated. But even I must admit a good Brown Ale is more like "background music" than a beer that commands your immediate attention. Maduro Brown from Cigar City Brewing is that rare exception. I picked this one up a local supermarket last month during the family vacation. I know Cigar City makes a bunch of special releases that beer geeks gush over but really wasn't expecting that much from this Brown Ale in their regular line-up. I just figured it would go well with the burgers we were having for dinner. It caught my notice at first sip and would go well with just about anything. It's rich, silky smooth, full of complex flavors of toffee and chocolate. Cigar City adds flaked oats into the grain bill to give it that wonderful texture and tie all the great roasted flavors together. One of the best Brown Ales I've ever had and another good reason to go back to Florida. Is "Build Your Running Body" the best running book ever? Quite possibly yes. 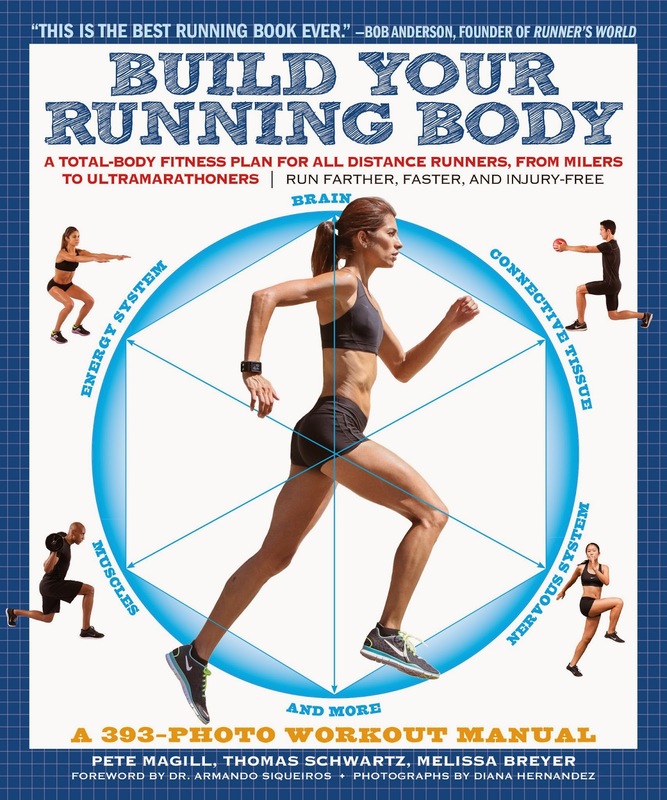 Build Your Running Body boldly proclaims itself as "the ultimate running guide". At the top of the front cover is a quote from Runner's World founder Bob Anderson declaring "This is the best running book ever". Pretty heavy stuff. Does it live up to the hype? I've been running for over thirty years reading over twenty books on training over that time and have to say "yep, it's that good". Certainly there are books that excel by going greater detail into certain areas, like The Cool Impossible, which I found to dramatically improve my running form, or Daniels Running Formula, still the Bible on improving running economy. But neither of these books had much to say about running outside of their narrow focus. The strength of Build Your Running Body is that it has no weaknesses. It covers everything, stretching, strengthening, pacing, racing, nutrition, recovery, you name in excellent detail with lots of good supporting illustrations and charts Somehow, the authors found a way to comprehensively organize all that without being overwhelming, no easy task. Plenty of running books that dictate a "do this, do that, but not that" dogmatic philosophy or provide so much generalized information that really can't be applied into the typical runner's training program. The nutrition advice avoids "food Nazi" territory, containing sensible diets an actual person could plausibly eat in real life. Authors Pete Magill, Thomas Schwartz and Melissa Breyer always find the right note in explaining their training advice, making it both accessible and easily personalized. It's one of those books you don't have to read from cover to cover, and the authors even encourage the reader to skim through it. New runners especially may find all the material overwhelming at first, and may want to take in a few chapters at a time. As for me, I expect to be using some of it to train for the Big Sur Half-Marathon this November. I already have a pretty good half-marathon system in place that's worked well for the last couple years. After running for over 30 years, I've pretty much figured out what works for me and what doesn't. Still, I found a few things in Build Your Running Body that I've started using, mostly core and leg strengthening work outs. There's a number of good pacing charts in Chapter 7 on Building Your Running Cardiovascular System for track intervals and tempo runs that I've already started using as a guide to adjust my pacing a bit for a couple tempo runs. Chapter 15, Build Your Training Schedule brings all the different workouts into a coherent whole, so make sure you read that chapter. 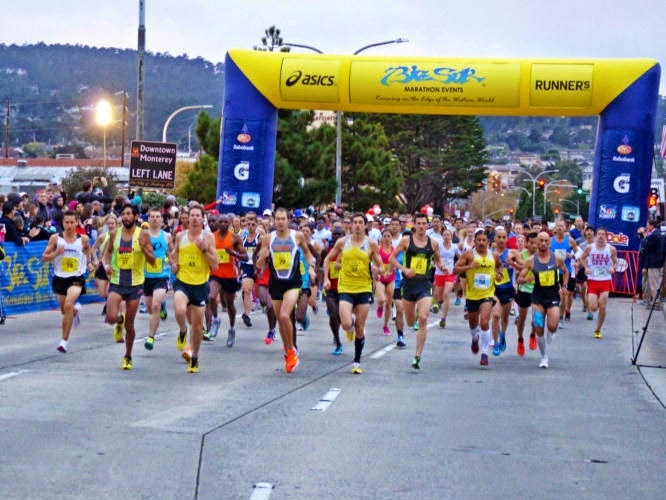 Find the training program that's best suited to you, whether it be the "12-Week Training Schedule for Beginning and Returning Runners-Non Competitive" or perhaps the "6-Week Training Schedule for 5k Race-Intermediate & Advanced" and read it carefully. You may want to riff a little on the training plan, but these training schedules bring the various topics scattered throughout the books into focus. I find good running books are like Alcoholics Anonymous: Take what you need and leave the rest behind. There's a lot of good stuff in Build Your Running Body to take with you. It's been a busy summer for Strike Brewing. They've completed their brewery and opened their tap room. Well, the tap room is not quite open. According to Strike's website, it's "openish", from Wednesday-Friday from 3 pm - 7 pm. That's good enough for most people. It's taken a while to get there, but I finally got a chance to check the place out. The old cavernous warehouse room I remember back last winter now houses gleaming brewing equipment, a large refrigeration room, and a few picnic tables complete with the Strike logo on them to create a tap room. I got a chance to try a couple pints of Chin Music, a tasty Pale Ale only available in the tap room as well as few select locations on draft. 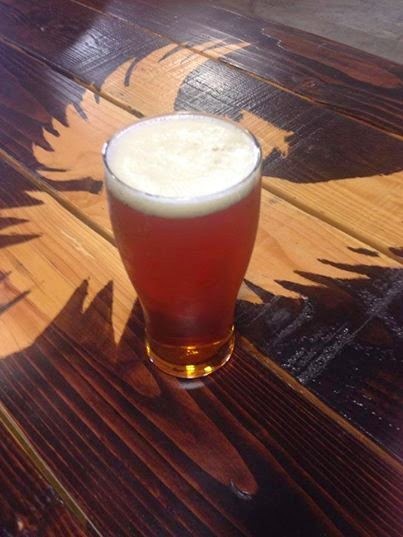 I'm sure we'll be seeing some more of Brewmaster Drew Erhlich's creations at Strike's tap room soon enough. There was a little placard on the bar announcing a Grand Opening of the tap room October 4th. I don't know about you, but I'll keeping that day open. I'll leave you with a few pictures of the place to put this all into perspective. You can have a beer at the tap room only a few feet from where it was brewed! I'm standing there five minutes before the start of the Los Gatos Dammit Run and it feels like a high school race. Maybe that's because this five mile race starts on a high school track. Or perhaps it's because a few high school cross-country teams show up to test their fitness before the season starts. I don't see a lot of old guys like myself, just a bunch of eager kids ready to have fun and test themselves over the varied and at times very hilly five mile course. For me, the race a bit of a test of my summer time fitness to see where I stand going into the fall. Of course, this race has long been one of my favorites. I first ran it 13 years ago when I was 50 pounds heavier than I am now and have done it 5-6 times since then. There's always a fun atmosphere and the crazy course, which runs over every possible running terrain know to man in the span of just 5 miles makes this race worth coming back for. Who needs to run on a boring PR courses? The gun goes off and we're off and running a lap around the Los Gatos High School track. Then we zig-zag our way around the high school grounds before meeting up with the Los Gatos Creek Trail, where the race takes on a cross-country nature as the field churns through the gravel trail. At this point, I'm just trying to set a decent pace and get comfortable, knowing the challenging part of the race is yet to come. I come through the first mile in just under 6:00 pace, a little too fast. Easing off a little, I'm feeling pretty comfortable and just before the steep hill to conclude the second mile. Turning to the high school kid running next to me, I say "Now the race really starts" as we take on a steep, 50 yard gravel incline. I pass through mile 2 in 12:40. Now the fun really begins. The course runs cross-wise up the Lexington Dam, ascending maybe 150 yards and after a brief 150 yard respite on a paved road, their another 1/4 mile steep uphill before it's all downhill back to Los Gatos on a roller coaster ride of trails and the streets of Los Gatos. On that last steep uphill, a whole bunch of high school kids start ganging up on me, either passing or surrounding me in a big pack. I find a little opening in the pack and get a second wind and push my way past a few. I complete the third mile in 8:40. Getting over the last hill, I open the throttle on the rolling down hills, passing a few here and there, putting on the brakes slightly at times to keep my legs underneath me to prevent a full face plant. I'm working hard and running well, hitting well under 6:00 per mile pace. Getting to the Los Gatos High School Track and going once around it for the finish pressing as hard as I can, this high school kid blows right by me. I just couldn't find that extra gear to go with him. Still, I look up and the clock heading to the finish and see 33:00, and get pretty excited. My "A" goal was to finish in 33:20, my "B" goal in 33:40. I cross the line in 33:15, a full minute faster than last year. Mission accomplished! Not much else to say. I'm clearly in better shape than a year ago and now starting to focus on the Big Sur Half-Marathon on Monterey Bay. That race isn't until November so I've got plenty of time to get better, but have to say I'm pretty happy with how I'm running now. The article I wrote for Adventure Sports Journal on how California's Drought is affecting the region's breweries is out. You can read it online on the Adventure Sports Journal website. It's been a busy month for "real" writing, as I've finished up an article on Gordon Biersch for Edible Silicon Valley for the upcoming fall issue. Nice to know someone besides my mom actually reads the stuff I write. I don't know what to make of this month's Session, hosted by Hipster Brewfus, who found recent sessions to be "unimaginative, uninspired, and uninteresting". It's hard to understand just what he is asking for, but doing my best to paraphrase his alternative, it involves opening up a big can of whuppass and angrily vent about some bad beer experience into the Internet. Gee, no one has ever done that before. OK, I'll try playing this game. I didn't like this year's Stone Brewing's Ruinten, despite the fact that lots of people all gushed about it. It had this enormous sweetness which over powered everything, muting the hop flavors. It came across as lightly hopped sugar syrup and was tough to swallow down. My wife, who's a big hop head, felt the same way. After we worked through that, we both sort of shrugged and tried something else. Sorry, I just can't summon a lot of anger and rage over something as inconsequential as a beer I didn't like. What's motivating this effort to "inject hostility" into beer blogging world? Conflict can reveal truths, stimulate learning, and develop strength in the course of the struggle, but our Session host doesn't show any interest in that. It seems he just wants to see us all being angrier. Or maybe what he really wants is more genuine and honest criticism rather than hostility. Sure, fawning beer blogs can be annoyingly superficial but are pretty harmless. You can't say the same thing about anger and hostility. There was a time in my life where I had this pathological need for confrontation and went around angrily shooting off my mouth with a bunch of negative opinions nobody asked for to anyone who would listen. I was pretty depressed and unhappy, easily angered over some pretty minor stuff. I have no desire to be "forced out of my comfort zone" to revisit that miserable chapter of my life and don't suggest anyone willingly go there either.